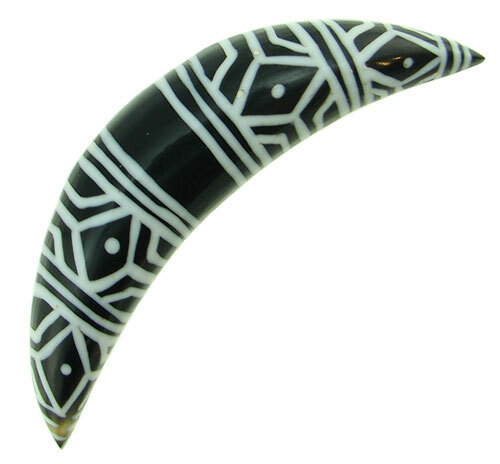 For a tribal look, this Curved Horn Septum Tusk inlaid with white tattoo designs is a great piece of jewelry for your septum piercing. It is light weight, comfortable, unique and eye catching. Can also be worn in ear and other piercings, but pieces are sold as singles so matching pairs are not guaranteed. 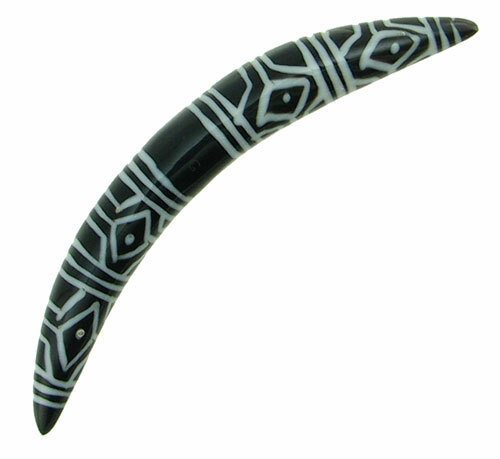 This Water Buffalo Horn Curved Septum Tusk is hand carved in Bali, Indonesia. 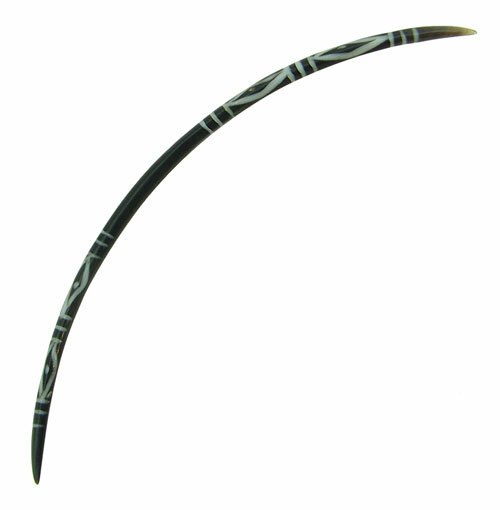 Rather than mass-manufactured, these Septum Spikes were made by hand from natural materials, so some variation (such as color, texture, size, etc.) is present from piece to piece and from the one shown in this photo. . Most horn is very dark brown or black, but occassionally we get some that is lighter brown or tan colored. Please let us know in the comments line during checkout if you have a horn color preference. 14 gauge 13 gauge 12 gauge 11 gauge 9 gauge 8 gauge 5 gauge (+$2.00) 4 gauge (+$2.00) 2 gauge (+$4.00) 1 gauge (+$4.00) 0 gauge (+$4.00) 00 gauge (+$4.00) 1/2 inch (+$6.00) Select your size and click "Add to Cart".